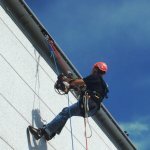 New regulation prohibits employers from using Rope descent systems (RDS) at heights greater than 300 feet above grade unless they demonstrate it is not feasible or creates a greater hazard to use any other system above that height. In addition, the final rule requires building owners to provide and employers to obtain information that permanent anchorages used with RDS have been inspected, tested, certified, and maintained as capable of supporting at least 5,000 pounds per employee attached. 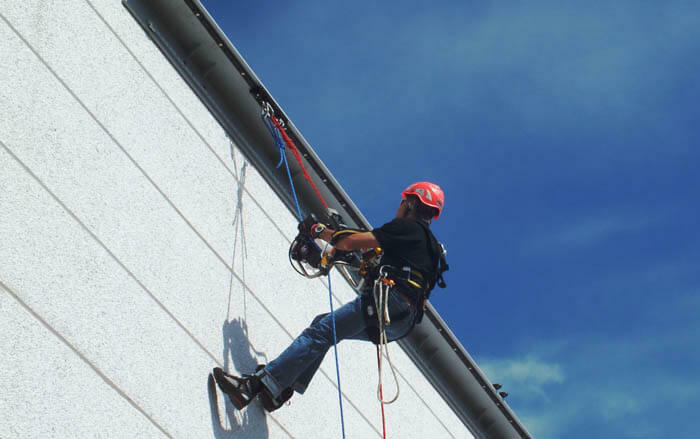 Deadline for the requirement of employers to ensure workers who use personal fall protection and work in other specified high hazard situations are trained, and retrained as necessary, about fall and equipment hazards, including fall protection systems. ICBS specializes in custom design, installation, manufacturing, maintenance, and OSHA/ANSI certification of all components related to commercial building safety. We will work side by side with each company to assess the safety of your building’s working environment and individually tailor a plan to make sure everything is up to date with all required compliance regulations. Call today and schedule a free walk through evaluation of your commercial building’s safety equipment.